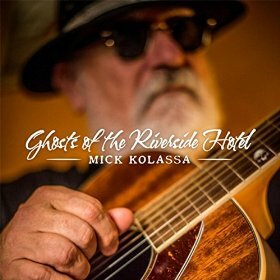 I just received the most recent release, Ghosts of the Riverside Hotel, from Mick Kolassa. A cornucopia of blues like last years release by Kolassa, "Michissippi Mick" , the net proceeds will go to The Blues Foundation and Generation Blues. Opening with Hank Williams' Ramblin' Man, Kolassa on lead vocal and guitar, Jeff Jensen on Lead guitar, Bill Ruffino on bass, Robinson Bridgeforth on drums and Chris Stephenson on organ, this is an interesting track with march like rudiments and tasty guitar work. 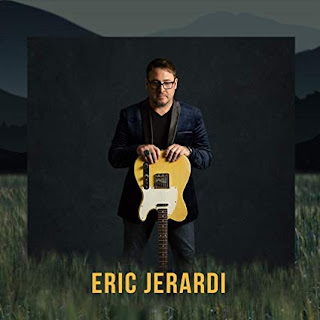 Slow swinging blues track, Grapes & Greens, featured nice electric guitar and slide work from Jensen and Eric Hughes on harp coupled with solid lead vocals by Kolassa. Lou Singer's depression era, One Meatball, gets a light reggae rhythm treatment under the vocal harmonizing by Reba Russell and bright piano passages by Victor Wainwright. I Always Meant To Love You is a swinging 12 bar with some real jazzy riffs from Jensen, complimented nicely by Kirk Smothers on sax and Wainwright on piano. Lighthearted Trouble, written by Todd Snider, has a cool swing. Kolassa's vocals are spot on, Santini takes a real nice harp solo on this track and Jensen throws in a few country influenced riffs of his own. Nothing Left To Lose (Robin's Blues) is a smooth jazzy blues ballad featuring Smothers on melodic sax. Kolassa's most serious vocal of the release are restrained but well placed and pointers by Smothers and Jensen are perfectly executed. Very nice! If I Ain't Fishin' has a cool pace with Wainwright and Hughes teaming up with tension against the calm. Randy Newman's, Mama Told Me Not To Come, made popular by Three Dog Night, gets a modified Chicago blues remake and a totally different type of cover. Kolassa uses an almost spoken delivery and Santini really wails on this one giving it it's best showing to my ears. On Whiskey Woman, Cole Layman trades lead guitar lines with Jensen and Logan Lyman lays down some cool funk bass. Chris Stephenson's organ solo punches up the track eliciting nice guitar soloing and even more pluckiness from Layman. Walkin' (Dead) Blues capitalizes on the current zombie obsession. With an Elmore James basic track, Kolassa gets the band cranked up with his frantic vocal antics. Santini gets his harp rolling hard and Jensen kicks out his best set of riffs on the release. Tongue in cheek but the hottest track on the release! Following a Magic Sam format, Mama's Got A Mojo, is a cool track with shimmery guitar soloing by Jensen over solid organ work by Stephenson. Real nice! Wrapping the release is Delta Town featuring Watermelon Slim on dobro and harp. Bridgeforth and Ruffino give the track a bit more structure and Kolassa leads the way. This is quite an enjoyable release with a bit of something for most blues lovers. I cannot recommend this CD enough. 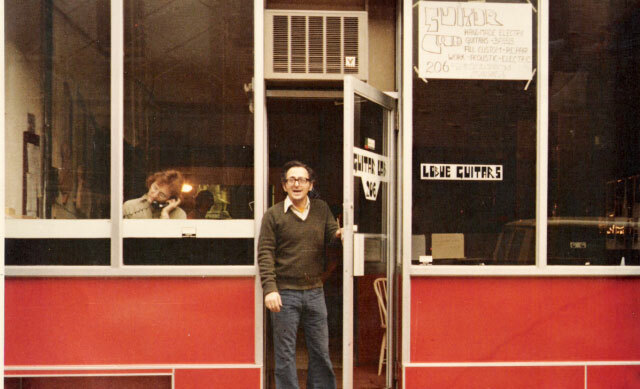 Kolassa is the read deal, and I know those old blues men approve. 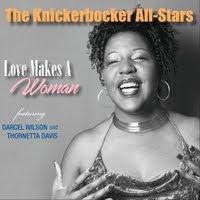 I was gobsmacked by this CD and I believe you will be too.